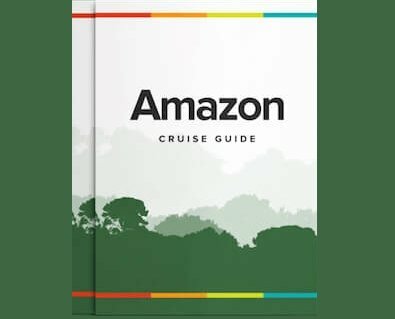 It may be a shameless exercise in marketing, but nonetheless, it is with a sense of joy that Rainforest Cruises received the news that the Amazon is one of the provisional New Seven Wonders of Nature, announced in November, 2011, chosen by popular vote from a list of 28 contenders, worldwide. It is obviously a nonsense to suggest that a jungle is in some way ‘better’ than a reef or cave system, for example, but anything that highlights the remarkable biodiversity of the Amazon rainforest and encourages discerning travelers to tour the Amazon, has to be good news! In that vein, there was further good news for South American tourism, with the inclusion of the magnificent Iguazu Falls – which is to be found in Atlantic rainforest habitat, on the border of Argentina, Brazil and Paraguay – in the list of new, natural ‘wonders’. There had already been nationwide celebration in both Peru and Brazil with the selection of Machu Picchu and Corcovado, the Statue of Christ the Redeemer in Rio de Janeiro, respectively, in the original New Wonders of the World vote, which was for man-made structures, in 2007. So, the inclusion of the Amazon and Iguazu in the new list is a further fillip to South American tourism. For the record, the other new, natural ‘wonders’ announced were Halong Bay in Vietnam; Jeju Island in South Korea; Puerto Princesa Underground River in the Philippines; Komodo, Indonesia; and Table Mountain in South Africa. A slightly bizarre process of verifying the phone and text voting results and preparing the Official Inauguration is now under way before the New Seven Wonders of Nature can be confirmed in 2012. Surely, it would have made sense to do this before making any announcement? In any case, for those people wishing to enjoy a riverboat cruise to a New Wonder of Nature, namely the Amazon Rainforest, please get in touch or call 1-888-215-3555.